Leading the way for the Wesham women Kath Hoyer made light of the hills to finish 38th woman and 2nd W55 in a sprightly performance with a time of 49:47 coming in 204th overall. Sharon Cooper ran well and finished 49th woman and 238th overall in 51:25, 12th W45. Louisa Denye had a great run in 79th place with her time 54:54, 322nd overall. Elizabeth Johnson placed 86th and 342nd in 55:34; Vicky Gore finished 108th and 390th overall in 57:31; and Debbie Myerscough making great progress with 66:09 for 226th place and 585th overall. In the men’s race Steve Littler was up against some strong opposition but ran well to finish 7th in 35:17 placing 2nd M45. Simon Denye continued his strong form coming in 22nd and 4th M45 in 38:14. 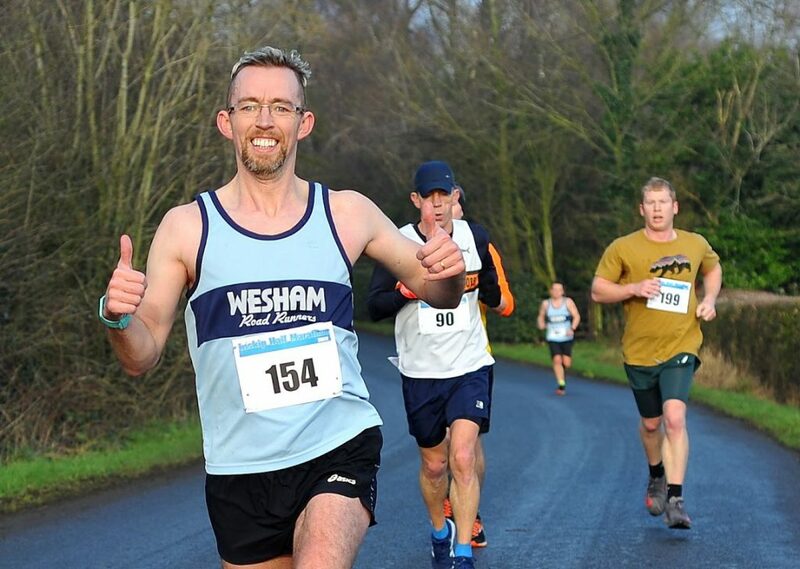 Alan Hudson regained his M65 crown with a great run finishing 177th in a time of 48:36 with James Danson placing 295th and 35th M50 in 53:40. Peter Rooney was 315th and 9th M60 in 54:38; Finlay McCalman refreshed from a team outing to see Think Floyd on Friday evening finished 360th in 56:23, and Dave Waywell was 4th M70 against considerable competition placing 429th overall in 58:56. Stuart Topping ran the Mad Dog 10k in Southport and finished 398th in a good 49:12 placing 120th M40+ (age categories in 10-year categories with no M35s recognised). Robert Brown finished 594th in 51:26 as 12th M60, and Sue Rigby placed 1143rd woman and 2202nd overall in a race where females outnumbered males, clocking 67:59. There were 3046 runners with the tail end runner clocking 1:46:56 and the winner Simon Croft of Red Rose running 33:57 and the first 45 finishers ran inside 40 minutes.